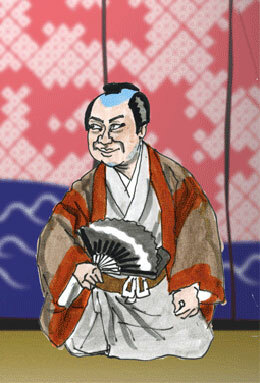 The actor Nakamura Utaemon IV's haimyô was Kanjaku and, although he never officially held the name of Nakamura Kanjaku I, he was considered as the founder of the line. Born in Edo in 1834. He was the nephew of Ichimura Uzaemon XII and the son of Zenbê, the owner of the shibai jaya Kikuya, located within the Ichimuraza. He started his carrer at the Ichimuraza in the 1st lunar month of 1845, receiving the name of Ichimura Kitsuzô and playing in the drama "Soga Fûryû Karei no Harukoma". 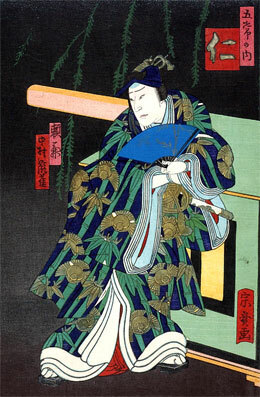 Later on, he settled in Kamigata and took the name of Bandô Kitsuzô. He was spotted by the star Nakamura Utaemon IV, who adopted him just before his death in the 2nd lunar month of 1852. 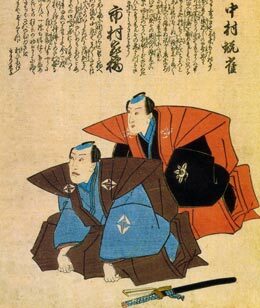 In order to commemorate the memory of his late adoptive father, Bandô Kitsuzô took the name of Nakamura Kanjaku II in Ôsaka in the 1st lunar month of 1853 at the Kado no Shibai, playing the roles of Soga Jûrô and Hakoômaru in the drama "Kagekiyo Soga Nigiwai Fujin". He spent all his time in Kyôto or Ôsaka and appeared on stage for the last time in the 11th lunar month of 1860, playing at the Kitagawa no Shibai the roles of Ofuna and Usami Sajûrô in the dramas "Yaguchi no Watashi" and "Igagoe Norikake Gappa". He died the 7th day of the 1st lunar month of 1861 in Ôsaka. 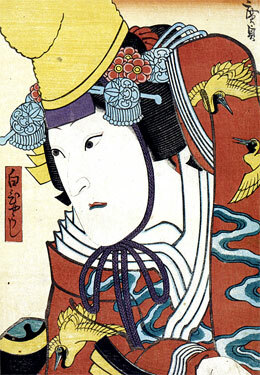 Nakamura Kanjaku II, an actor nicknamed Kikuzen Kanjaku, was a good actor, who was able to play tachiyaku, katakiyaku or onnagata roles. He died before reaching the peak of his career. The actor Nakamura Kanjaku III held this name from the 8th lunar month of 1863 to February 1881. 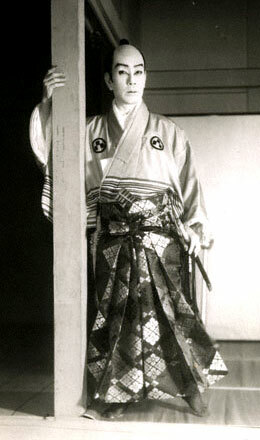 The actor Nakamura ganjirô II held the name of Nakamura Kanjaku IV from October 1941 to December 1946. Nakamura Kanjaku IV playing the role of Tsuchiya Chikara in the eponymous drama "Tsuchiya Chikara"
The actor Nakamura Ganjirô IV held the name of Nakamura Kanjaku V from January 1995 to December 2014.